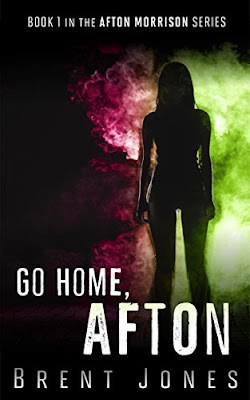 Afton Morrison has two personalities. There is Afton the nice school librarian, and there is her other personality that often materialises and talks to Afton, encouraging her to commit crimes and is begging her to commit her first murder. Afton has had these violent urges all her Adult life and she believes that she can indulge on this urge by murdering someone that isn't going to be missed in society. She wants to kill a known predator, but someone (the man in the shadows) is foiling her plans. This is part one of a four part series. It is an interesting read, and I did enjoy it. I liked how there was the two personalities to Afton and how her other personality would play out in the background egging Afton on. The way Afton meticulously planned to murder someone that was an bad person in society almost had you feeling like it was the okay thing to do. I found that in itself amusing. The story is well written and I did like the characters. It is a quick easy read and I would be happy to continue to read the other books in the series. Currently it is on sale for $0.00 on Amazon if you would like to get your free copy. My thanks to the author for my copy in return for an honest review.